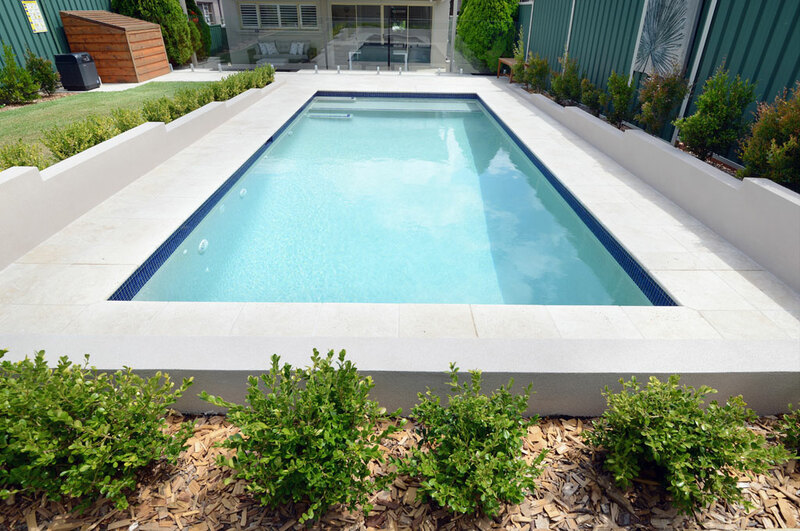 This classic saltwater pool transformed the entire backyard of an older style home. 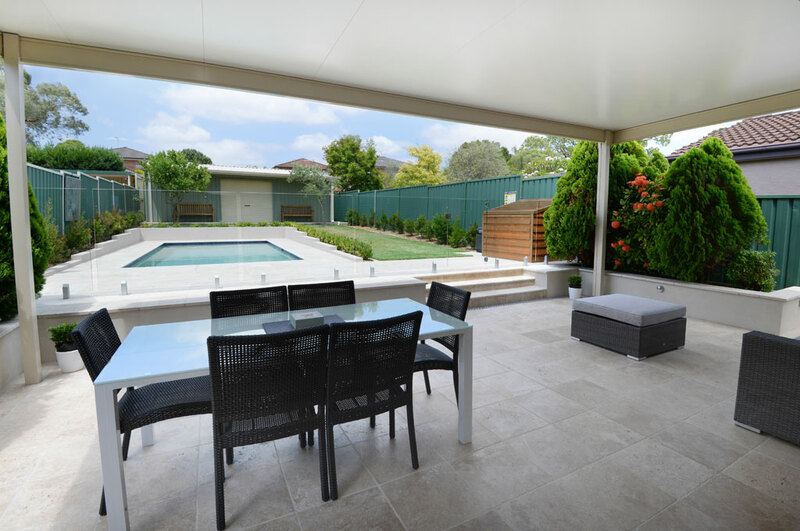 Located in a sloping yard, the pool sits above the level of the house. 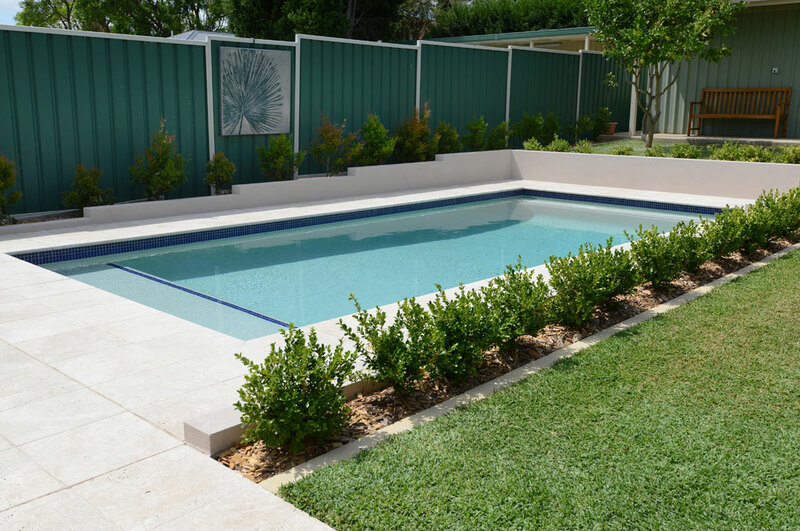 The symmetrical lines are complemented by a stepped retaining wall that follows the angle of the block. 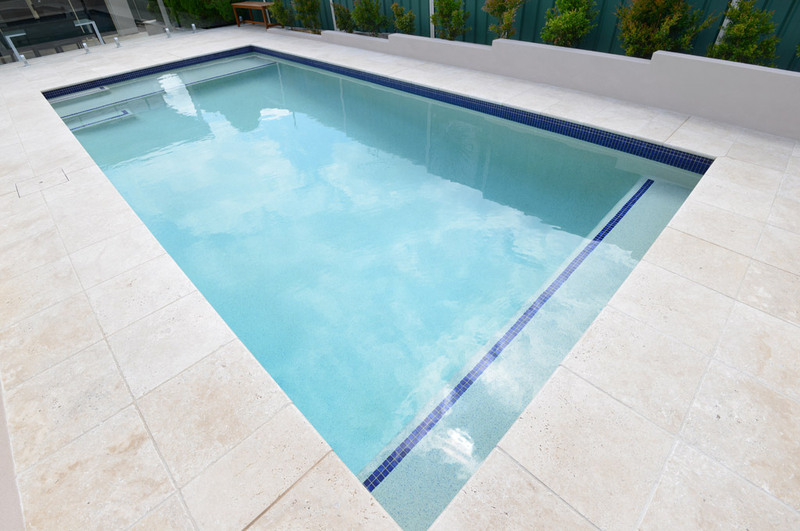 Vivid water colour has been achieved with a resort white pebble lining with blue glass flecks. Blue glass mosaic tiles highlight the waterline, step treads and sitting ledge, and frameless glass fencing provides an uninterrupted view. 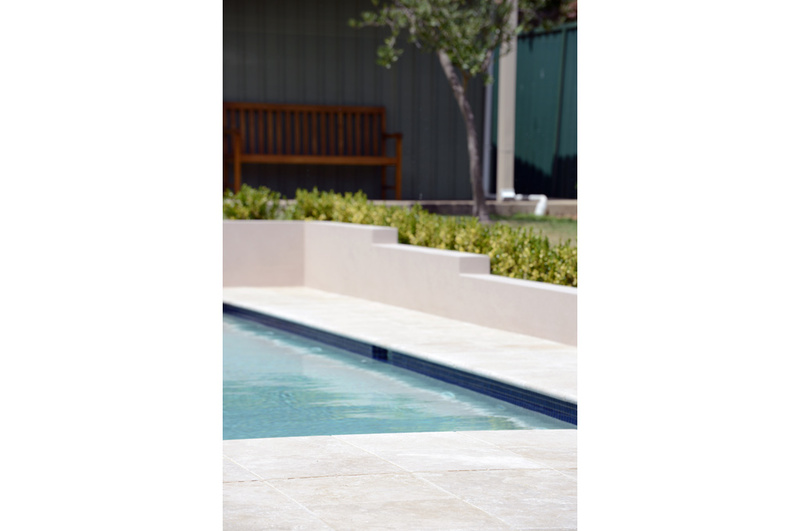 Travertine coping has been selected to match the alfresco area adjoining the house. 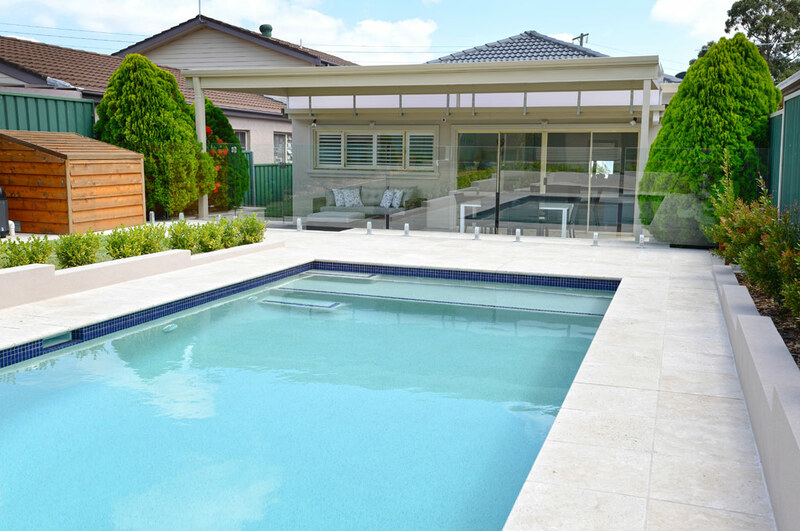 Gas heating extends the swimming season, and spa jets line the sitting ledge. 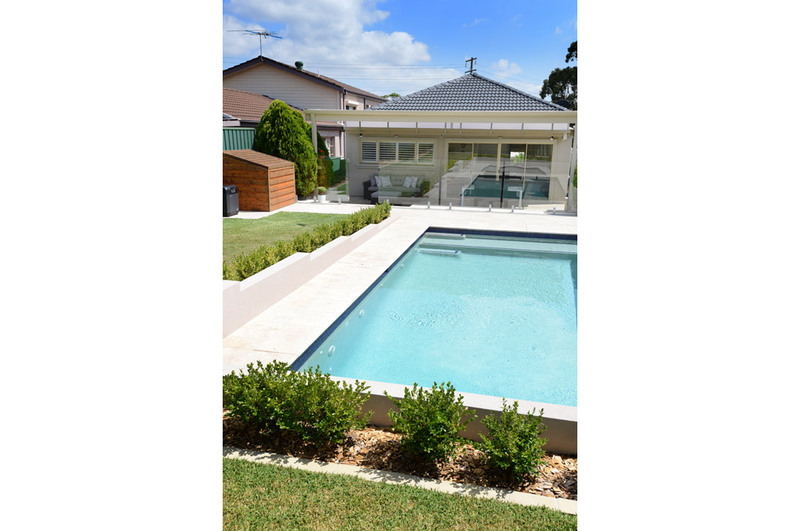 This pool is also exceptionally low maintenance, with an automatic cleaner and minimalist landscaping.